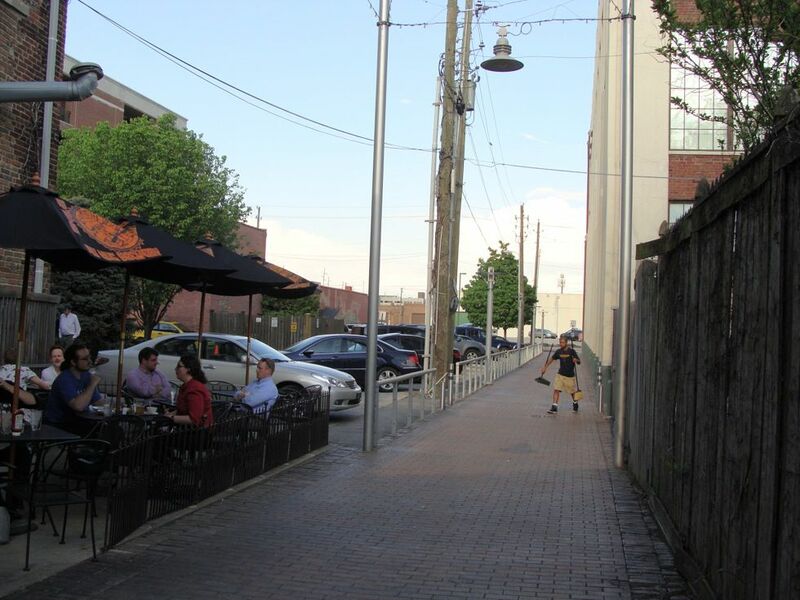 Commercial alleys, though often thought of as dirty or unsafe, can be designed to play an integral role in a downtown street network and improve the pedestrian realm in and around commercial areas. 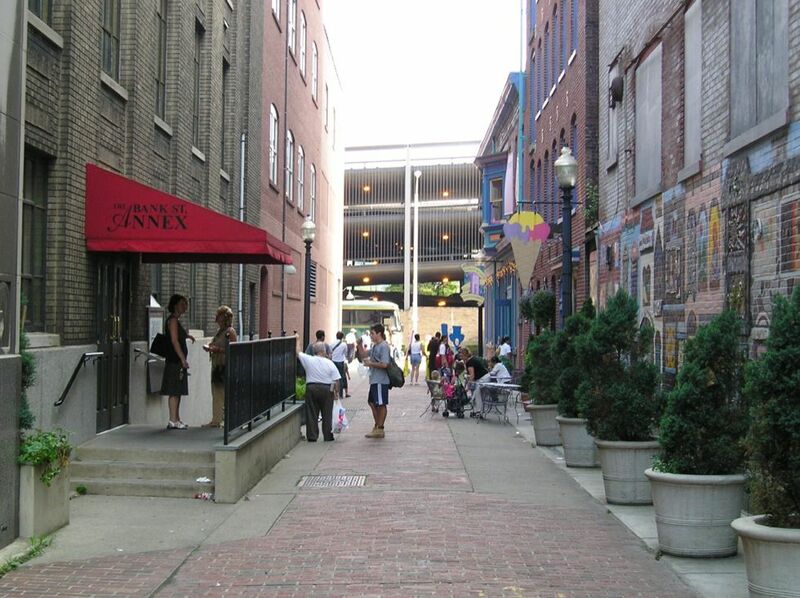 The design of commercial alleys should strive to balance their necessary utilitarian features with their placemaking potential. 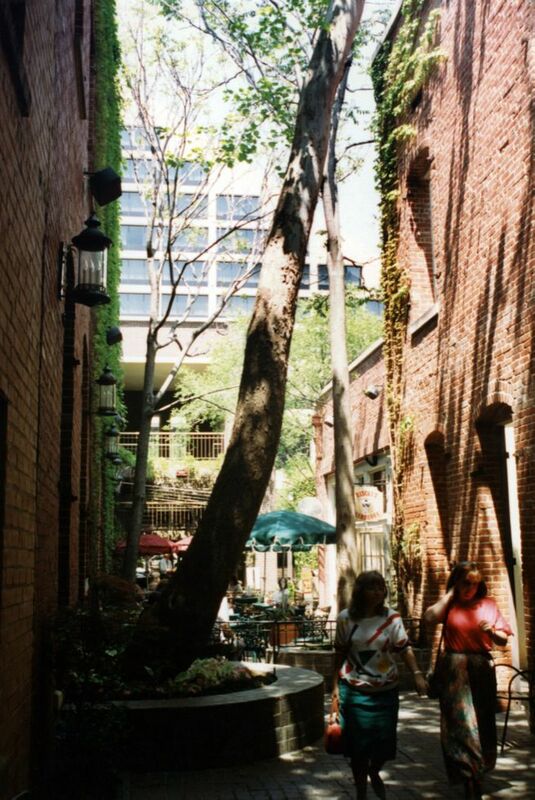 The alley shown below depicts a 10-foot wide path within a 20-foot right-of-way. 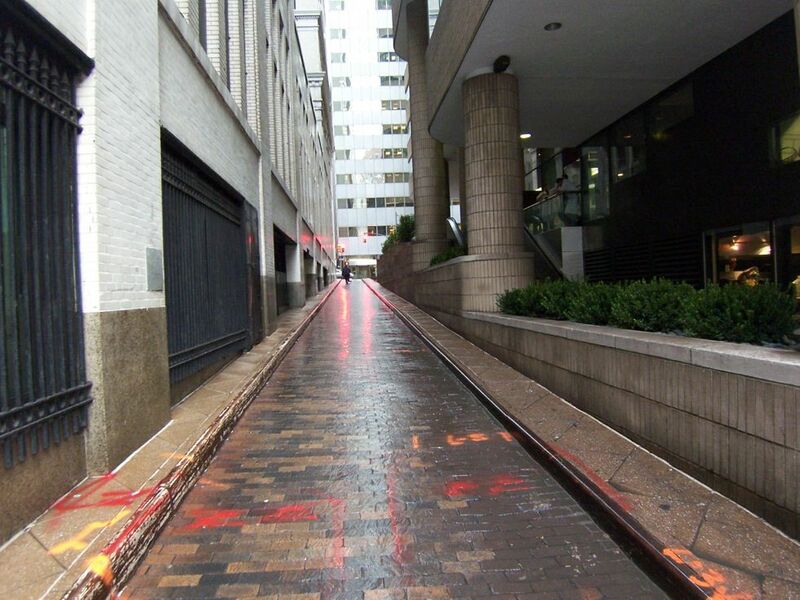 Where access for vehicles is prohibited or minimal, commercial alleys may be constructed using low-impact pavement materials, such as pervious or modular paving. 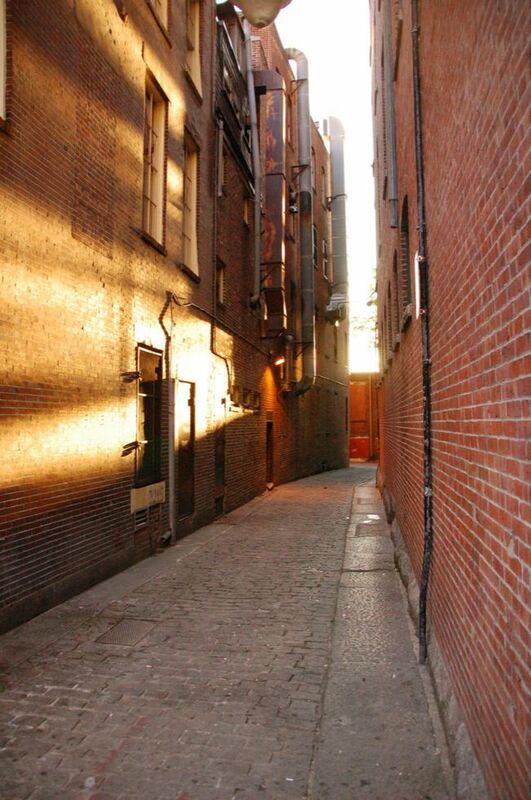 Freight may use green alleys for loading and unloading, which reduces double-parking on neighborhood streets. 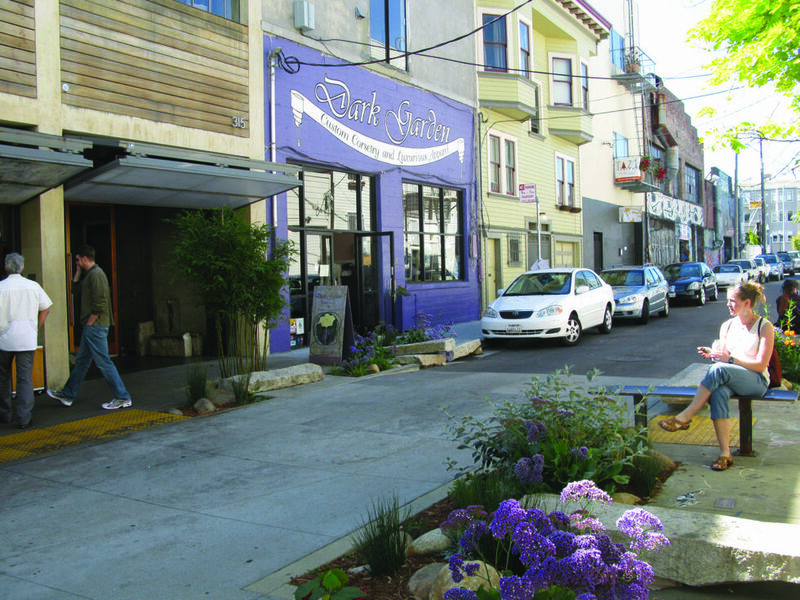 1 Where access for vehicles is prohibited or minimal, commercial alleys may be constructed using low-impact pavement materials, such as pervious or modular paving. 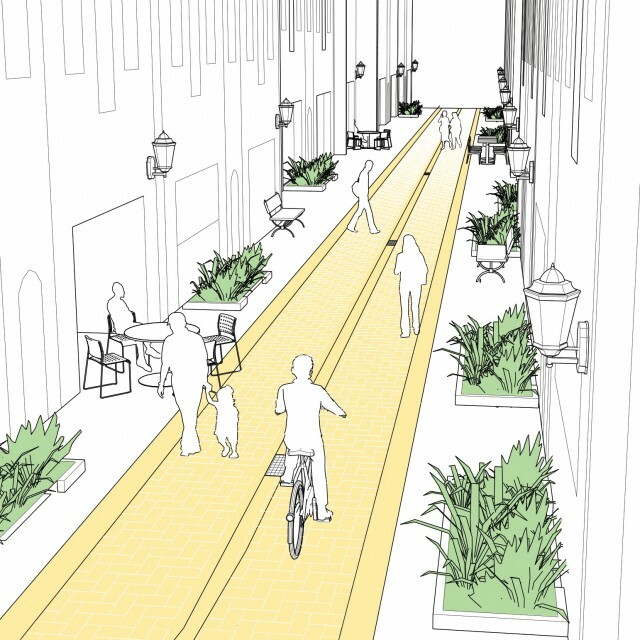 2 Bicycle traffic may use commercial alleys. Similar regulations to those of shared space should apply. 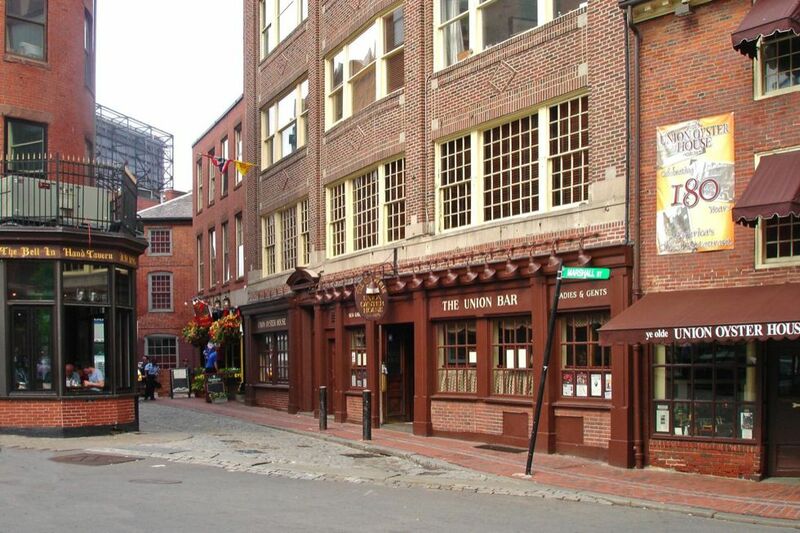 Commercial alleys can be restricted for traffic during non-delivery hours for outdoor seating or other uses. 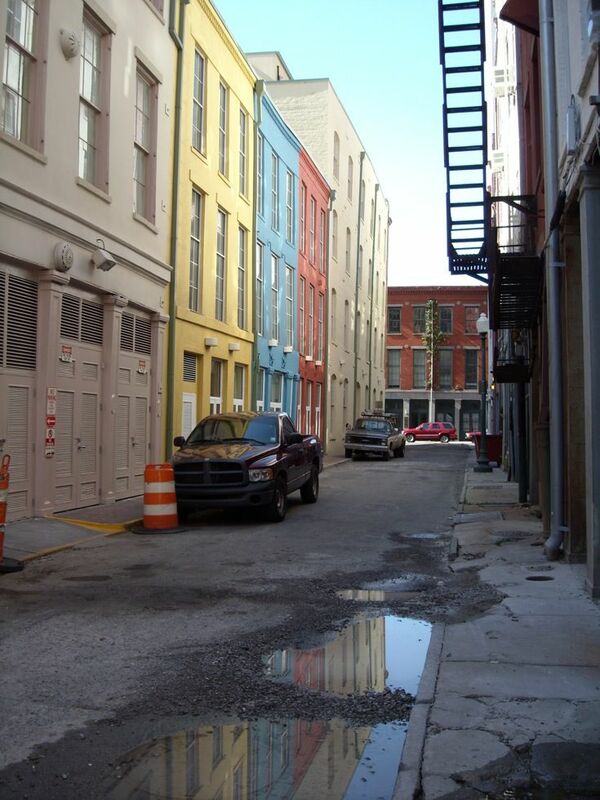 Where vehicle access is permitted, alleys should be maintained to allow easy access by trucks and other freight vehicles. Bollards and other street furniture should be designed to minimize conflicts with freight movements. In some cases, freight may be conveyed using hand trucks or small vehicles. 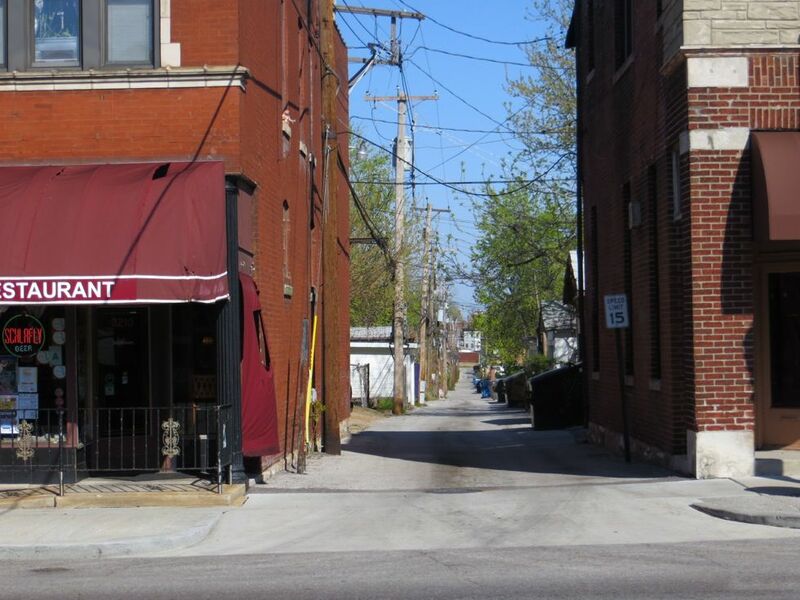 In these cases, careful attention should be paid to the location of curbs and the access from loading zones to entrances to ensure smooth deliveries. 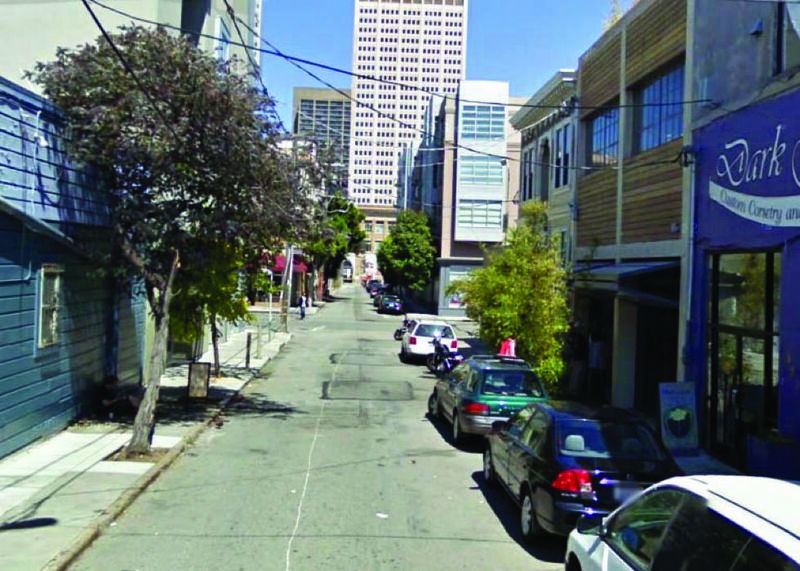 The San Francisco Better Streets Plan considers raised crosswalks at alleyways and shared public ways a standard treatment. 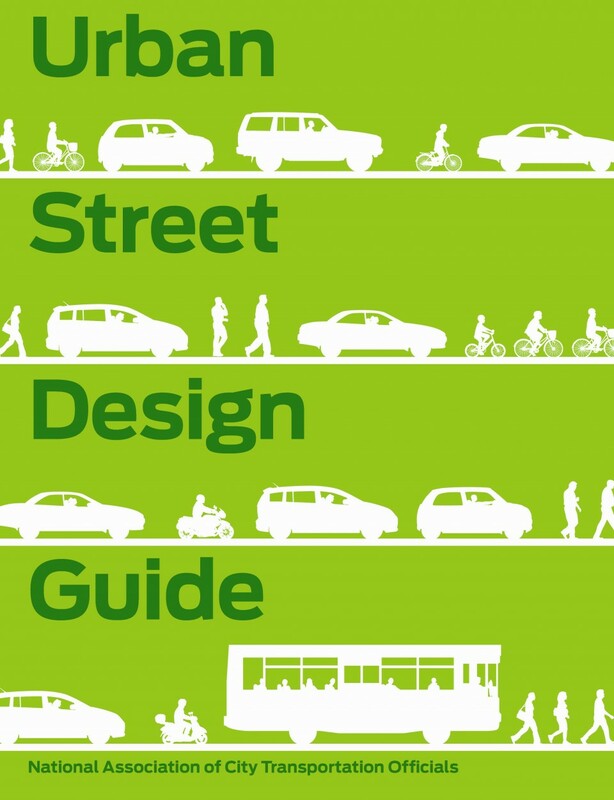 San Francisco Better Streets Plan (San Francisco: City of San Francisco: 2012), 53. Fialko, Mary, and Jennifer Hampton. 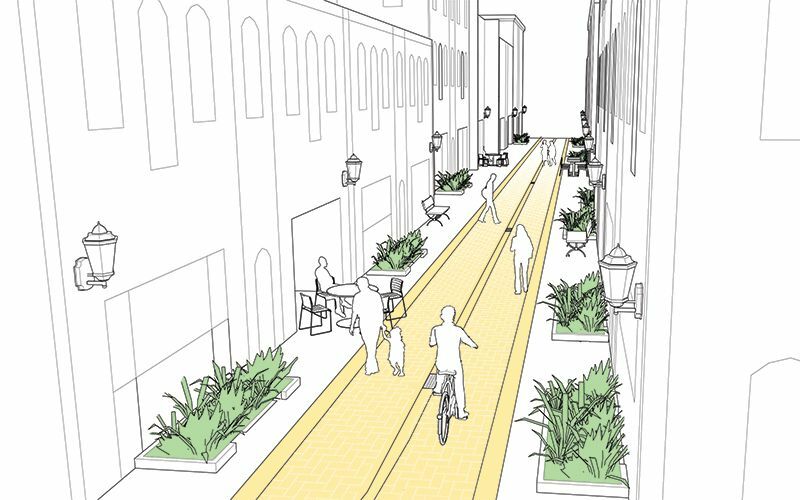 “Seattle Integrated Alley Handbook: Activating Alleys for a Lively City.” UW Green Futures Lab, Scan Design Foundation, Gehl Architects, 2012. Wolch, Jennifer, Josh Newell, Mona Seymour, Hilary Bradbury Huang, Kim Reynolds, and Jennifer Mapes. "The Forgotten and the Future: Reclaiming back Alleys for a Sustainable City." Environment and Planning (2010): 42(12), 2874-2896. References for Commercial Alley: 3 found. Wolch, Jennifer, Josh Newell, Mona Seymour, Hilary Bradbury Huang, Kim Reynolds, & Jennifer Mapes. 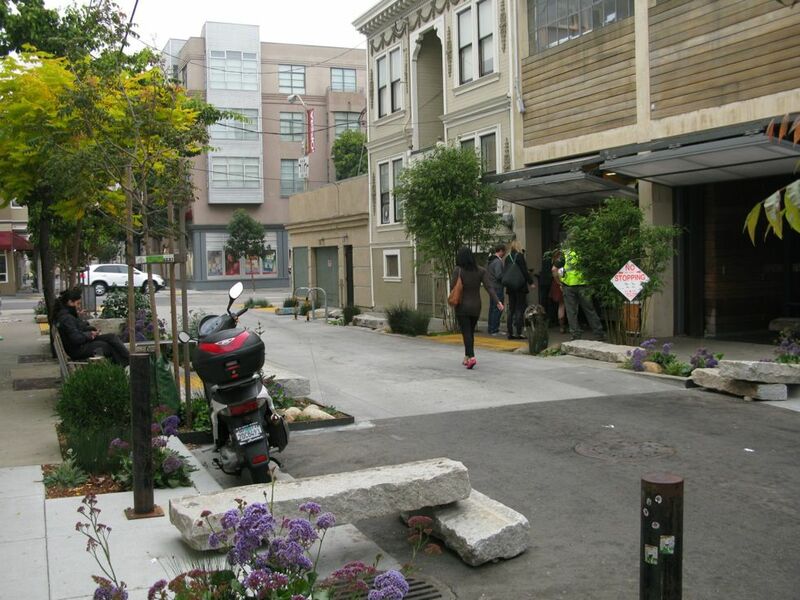 "The Forgotten and the Future: Reclaiming back Alleys for a Sustainable City." Environment and Planning A 42(12), 2874-2896, Pion, Ltd., London.